How can designers influence environmental sustainability on a college campus? How can we use design thinking to engage others in making sustainable choices that benefit our environment? Designers can spread ideas by helping others to evaluate their current decision-making processes and visualize networks on a large scale. 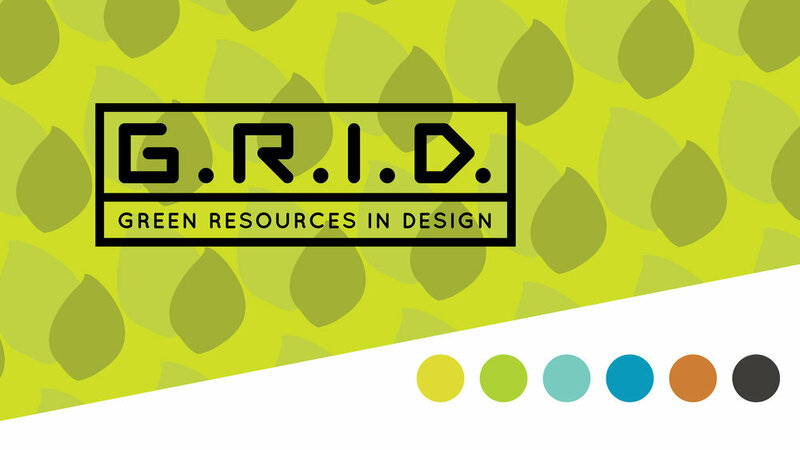 GRID, which stands for Green Resources in Design, is a collection of resources that educate and encourage environmental sustainability within a small, connected community: Monmouth University’s campus. A grid structures design elements in a certain space the same way that it might structure a garden or system of solar panels. It creates efficiency. GRID educates the Monmouth University currently about how the University is currently addressing environmental sustainability and ignites ideas for how it could be addressed in the future. 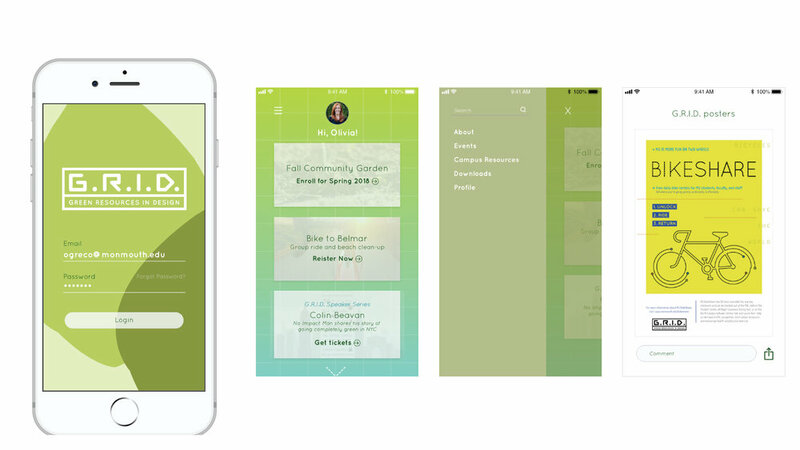 Users create a profile and quickly access information, upcoming community events, and download helpful resources. Three-part poster series illustrates the ways that Monmouth currently addresses environmental sustainability, and how it could be addressed in the future. This piece explains how MU addresses the rising costs of energy and graphically shows the impact of our efforts. Here, I show existing initiatives on campus that address waste management and sustainability, specifically in food and water supply and paper use, and made visual connections between them. This poster illustrates the ways that Monmouth addresses energy use by highlighting the installation of solar panels on four main buildings on campus. Symbols and icons are used in numerical equivalents to explain the effects and savings of the solar panels. I created this poster to promote a campus bike share that students, faculty and staff could utilize on and around campus. Instead of driving from one building to another, participants could unlock and ride a bike on campus to reduce traffic as well as carbon emissions in the immediate area. This packaging concept streamlines the process for involvement in the Monmouth University community garden by bundling all registration materials, tips on best practices and a starter seed pod.All printed materials were printed on recycled, Environment Grade paper by Neenah paper company. Neenah’s environment grade paper is made from fibers sourced sustainably and locally.